Can't make it to our office? You can send us your stuff! Questions? Call us at 317-595-8811. We're happy to help! Video Tapes: Please number each tape (1 to 50 for example) in the order you would like them. When possible and desired, we can combine shorter tapes onto the same DVD. Film Reels: Please number each reel in the order they go. Numbering your reels chronologically allows the final video to be in the proper order. Slides: You can leave them in the carousels or holders. To reduce shipping costs, you can remove them and place groups of slides in a zippered plastic bag. On the outside of the bag, you can write a subject which we will use in naming your files (i.e. Grand Canyon or 1964 Christmas). Photos: Group them by size and place in a zippered bag. You can write a subject on the outside for us to use in naming your files. Be sure to remove photos from frames. 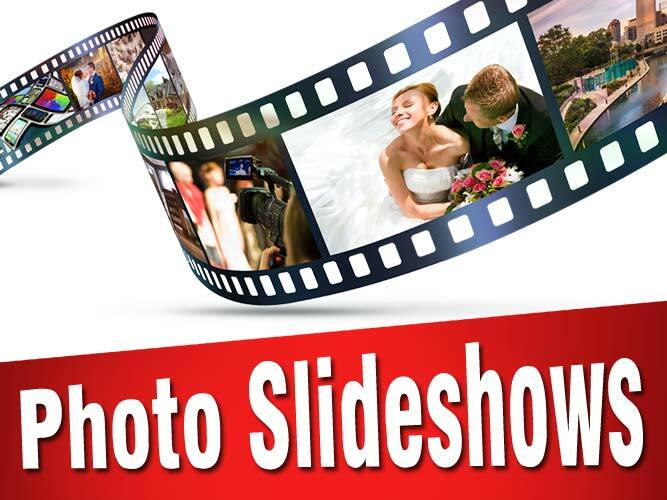 Slideshows: Planning a photo slideshow can involve more details such as music, titles and packaging. You can use the Slideshow Planning Form to prepare your video materials. Negatives: Do not cut the negatives apart! Keep the negatives in whatever protective envelope or sleeve they are in currently. Negatives can scratch easily. Records: Be sure to place firm cardboard on each side of your records. Old vinyl can be brittle and you don't want the record damaged in shipment. Discs: Whether for duplication, editing or conversion, be sure to place discs in a protective case to avoid scratches to the surface. Place all items in zippered plastic bags to protect from moisture. We recommend using a sturdy box, and packing the empty space with bubblewrap. Avoid using styrofoam peanuts due to static electricity. Choose a shipping method with a tracking number, like USPS Priority Mail. Be sure to include the order forms above and any details about your project. No pre-payment is required. When we receive your package, we will contact you to confirm that we have received it as well as provide you with an estimate for your project. Completion times vary depending on the type of media and our current order schedule. Small orders can often be completed within a week. Larger orders can take two to four weeks or longer. If you have a deadline, let us know and we will do what we can to meet it. Once complete, we will contact you for payment. You can pay with Visa, MasterCard, Discover, or American Express. Notice for all orders: Additional charges may apply for special editing, additional materials, or requests not specifically covered by the posted prices. Rush orders are accepted with prior notice and are subject to a rush charge. Orders left unpaid or unclaimed after 90 days may be disposed of unless other arrangements have been made. MVP is not responsible for lost or misdirected mail; acts of God; fire; theft or conditions beyond our control. Prices are subject to change and do not include sales tax.